This delectable studio cottage embraces a lush countryside location, three miles from the beautiful village of St Agnes. This heart-warming accommodation is the perfect spot to get away from it all with your other half and enjoy what this astounding region has to offer. Embracing thoughtfully decorated studio accommodation, you can sleep, eat, cook and relax whilst hardly moving a muscle, the ideal way to spend your break. The open-plan layout benefits from a stunning woodburning stove, its warmth can be enjoyed from the comfort of the snug arm chairs. A double bed cosily rests to the side of the room, underneath the charming ceiling beams. To the front of the cottage sits a fabulous decking area, an incredible spot to sit in front of the chiminea with a glass of bubbly and indulge in this one-of-a-kind location. 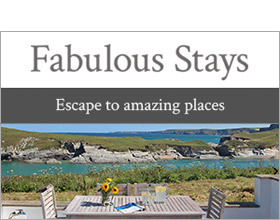 St Anges sits just three miles away and offers a series of popular amenities, along with the astounding Trevaunance Cove with its crystal clear waters and opportunities to try your hand at some water sports. The wonderful destination of Perranporth sits slightly North and is certainly worth a visit, as is the fabulous town of Truro. Five Elements Studio is a beautifully unique cottage encompassed by divine countryside and coastline. All ground floor. Open plan studio accommodation with double bed, kitchen, dining area and sitting area with woodburner. Shower room with shower, basin and WC.